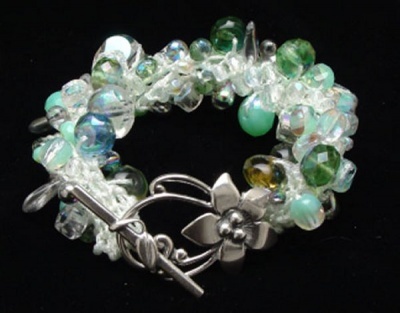 This is an example of our "Cool" bracelet. 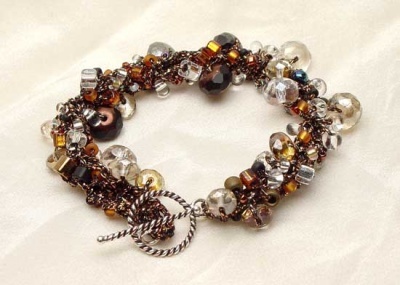 Here is a stupendously gloriously sparkling bracelet (if I do say so myself), made with almost exclusively fire polish crystals of different sizes and shapes. And (!!) for the icing on the cake our Leaf Tendrils sterling silver clasp! :-) I am so pleased with how this came out. It really is simply the same pattern as the other swirling bracelets. 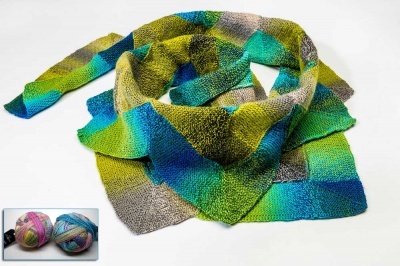 We knit this one with four stitches (and thus three beads) across, slipping the first to cause the piece to swirl as outlined in the pattern. 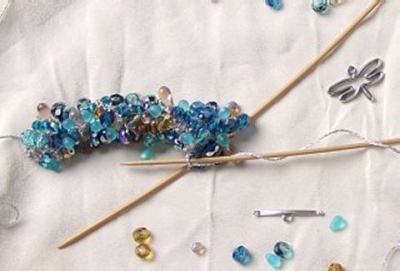 And I noticed as I was doing this that if you so choose, the materials we enclose in this kit can easily be used to make a Bead Soup style bracelet instead. So it is totally the choice of the creator -- you! I love how this one looks. It sparkles. 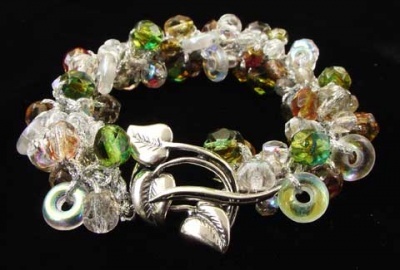 We used a lot of crystal fire polish beads in many shapes and colors to combine into a glorious mix. We have just gotten in a huge number of different fire polish crystals in all sorts of colors and shapes and sizes (some aren't even up on the website yet -- not photographed yet). But that means that we can offer a few other options colorwise for these. Take a look at the choices given in the drop-down menu. Bear in mind that there are always variations with these bracelets -- each kit is unique unto itself to some degree. And the clasp will be somewhat different than you see in the pictures-- we often cannot get the exact ones again. 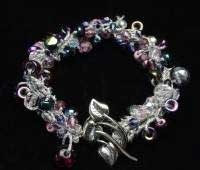 Beads and crystals go in and out of stock and what we can get one week is simply not available the next. We have a wonderful time playing with colors and love to put together mixes of colors. Each is somewhat different and unique unto itself. You can get the kit with or without the pattern -- there is an option to exclude it via the drop-down menu below. What every kit will have is a 20+ gram container of fire polish beads with a few other beads for contrast, Tapestry Braid thread in a color to compliment the beads, and a silver tone clasp (the one you see in the photo is no longer available). We did these on size 0 needles (which are not included). Note that the kit will not automatically include the pattern. We like to give choices. 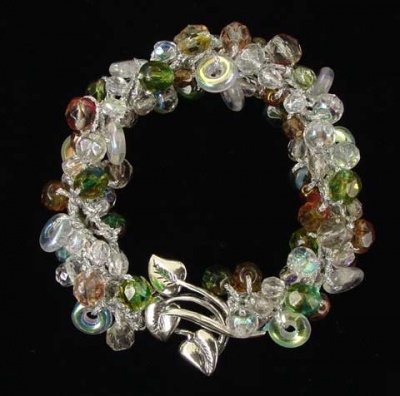 I know many knitters might already have made our other swirling bracelets. If you feel you do not need another pattern, simply choose "No Pattern Needed." I have no reservations that you'll be very very pleased.